Linux is very different from other operating systems because of its openness and flexibility. Linux One of the most flexible part of the Linux is its graphical user environment or in Linux desktop environment. Desktop environments provides user friendly and generally shiny interfaces for user. In this article we will look different types of desktop environments with different tastes. Gnome is the most used desktop environment. It is installed default by most of the Linux distributions. 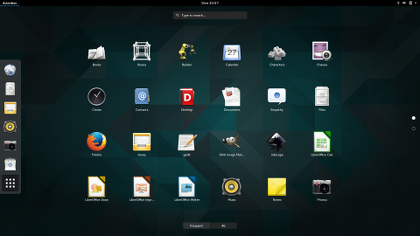 Gnome is complete desktop environments which have a lot of tools developed in this project. Also other desktop environments also uses Gnome’s tools and packages. Gnome provides little details and more ease of use. Gnome resource consumption is moderate according to other desktop environments. KDE or with its new name Plasma is the king of the Linux desktop environments. KDE provides ultimate user experience with its shiny interfaces. KDE gives user the ability to edit all details about it. In the old times KDE resource consumption was high but currently its affordable but the highest in the Linux desktop environments. I am currently using KDE with pleasure. We can call KDE as main desktop environment which have its tools. Cinnamon desktop is started 2011. It is a fork of Gnome Desktop. It have same code base but through time it differentiated with Gnome. Cinnamon desktop is less resource exhaustion than Gnome. It is a project mainly supported by Linux distribution Linux Mint. Mate Desktop is continuation of Gnome 2 which is older release of Gnome. Mate resource usage is lower than Gnome and Cinnamon. Mate provides standard Gnome 2 tools. Mate desktop can be used for low end systems. Unity Desktop environment is mainly developed by Canonical or Ubuntu. It is mainly aimed for usage in netbooks. Unity working mechanisms is similar to the MacOS. Unity is not lightweight desktop environment. 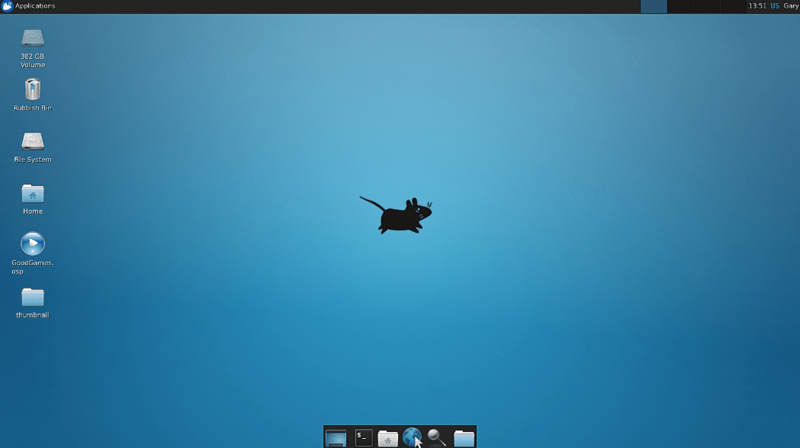 Xfce or Xfce4 is strong alternative for desktops for low resource usage. Xfce provides tools for whole desktop environments but resource requirements are lower than other desktop environment. It has own tools developed for Xfce project like Xfce-terminal. Ubuntu has spin named Xubuntu which is tightly integrated with Xfce Desktop. LXQt is a lightweight Qt desktop environment. Qt is a library specifically designed for graphics operations. 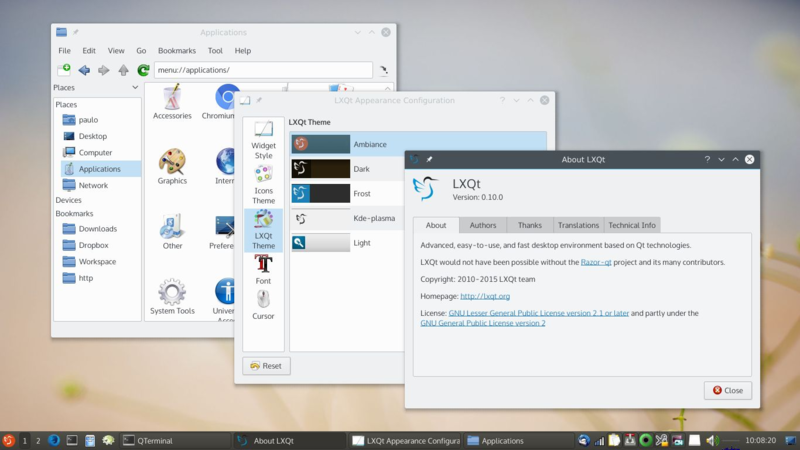 LXQt uses similar code base with Lxde. 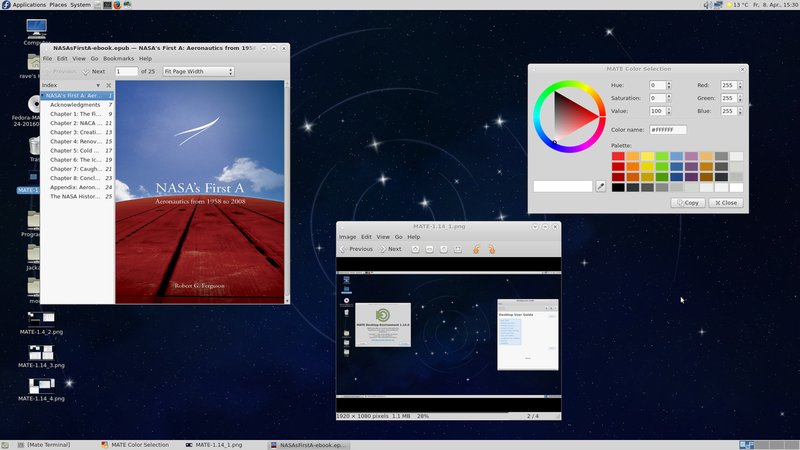 It is proposed to replace Lxde Desktop in some day. Lxde is an other alternative for lightweight desktop environments. Lxde is less resource needs. Lxde provides component based design which means only some part of Lxde can be use and other part is committed. Lxde have active community for development and support. PAntheon is default desktop environment originally created for Elemantary OS distribution. It is written by using Vala and GTK3.It provides similarities with Gnome Shell and MacOS. Support for Pantheon OS is not so wide. Pantheon OS provides eye-candy view. 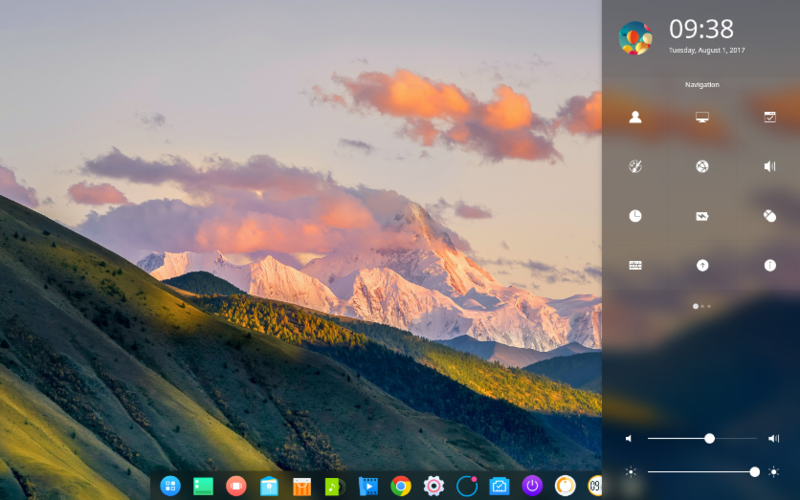 Deepin Desktop Environment is default desktop environment created for Linux Deepin distribution. Deeping Desktop also supported by distributions like Arch Linux, Ubuntu, Manjaro. It is easy to use and provides sleek user interfaces for absolute productivity. Enlightenment Desktop environment also known as E a compositing and stacking windows manager. It is called “the original eye-candy window manager”. This desktop has low resource requirements and provides original desktop experience. There are some interesting work mechanisms different from other desktop environments. Enlightenment provides its own terminal emulator, video player and image viewer. Sugar Desktop environment is specifically designed for education. Sugar Desktop developed as a part of One Laptop Per Child (OLPC) project. Suger Desktop is designed inexperienced users. Sugar Desktop is generally used for children related distributions or applications. Hawaii Desktop is Wayland and Qt Quick based desktop environment designed for Hawaii OS a Linux distribution. Some Linux distributions like RebeccaBlackOS uses Hawaii Desktop.